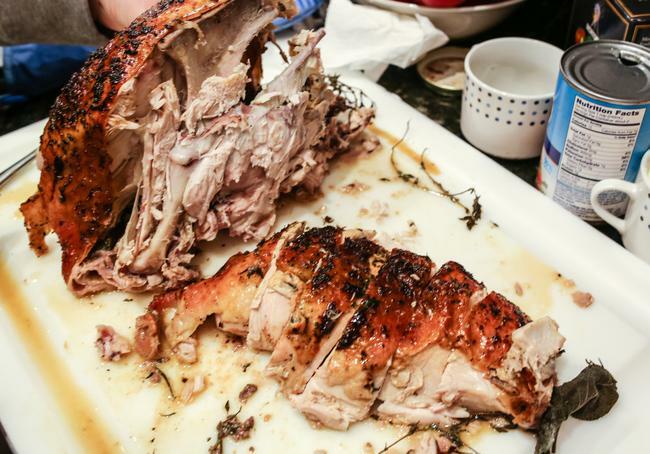 We have tested lots and lots of different turkey recipes, and none have come out as consistently juicy and delicious as this one. In fact, we can confidently say that it was the very best turkey we have ever had. Of course, it doesn’t hurt that there was butter involved. A lot of it, actually. But a little bit of decadence can’t hurt on a special occasion like Thanksgiving, right? The butter, combined with lots of chopped fresh herbs, salt, pepper, and some chicken stock for basting makes for a crispy crust, juicy meat, and a rich pan gravy. 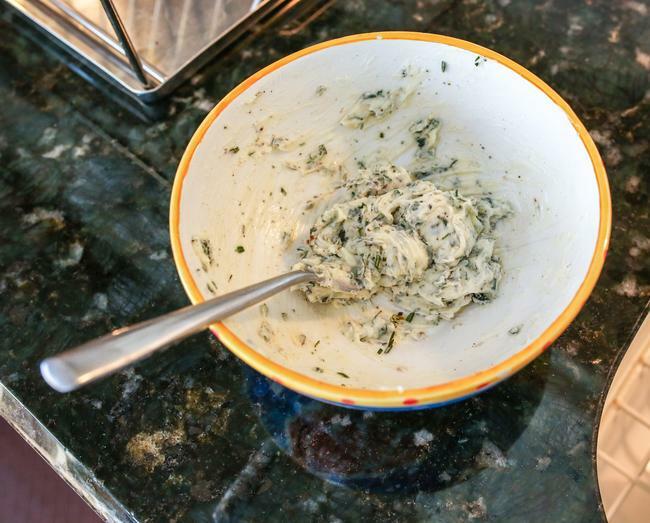 Mix ½ cup butter and all minced herbs in small bowl; season herb butter with salt and pepper. Set rack at lowest position in oven and preheat to 425°F. Starting at neck end, slide hand between skin and breast meat to loosen skin. Rub 4 tablespoons herb butter over breast meat under skin. Place turkey on rack set in large roasting pan. 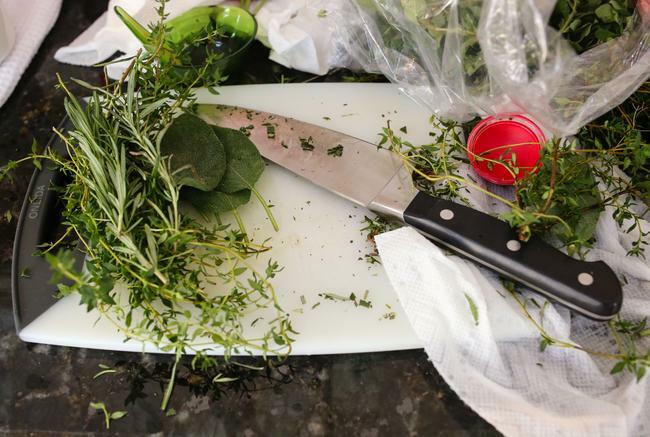 Sprinkle cavity generously with salt and pepper, and place 4 tablespoons plain butter and all fresh herb sprigs inside. Tuck wing tips under the bird and tie the legs together loosely. 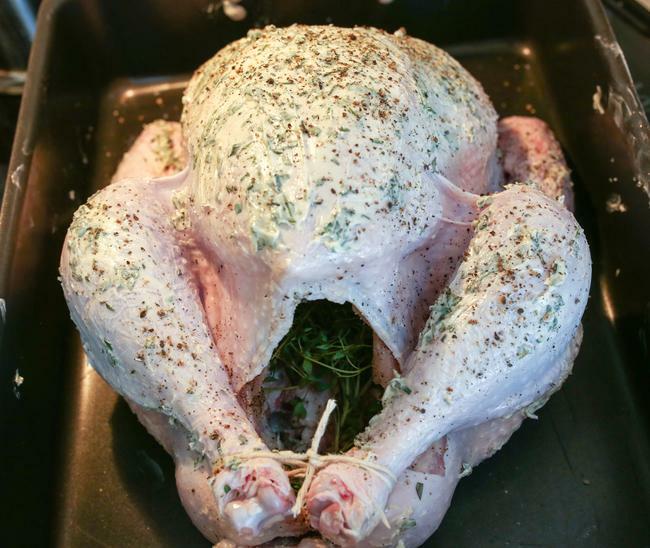 Rub remaining herb butter over outside of turkey. Sprinkle turkey generously with salt and pepper. 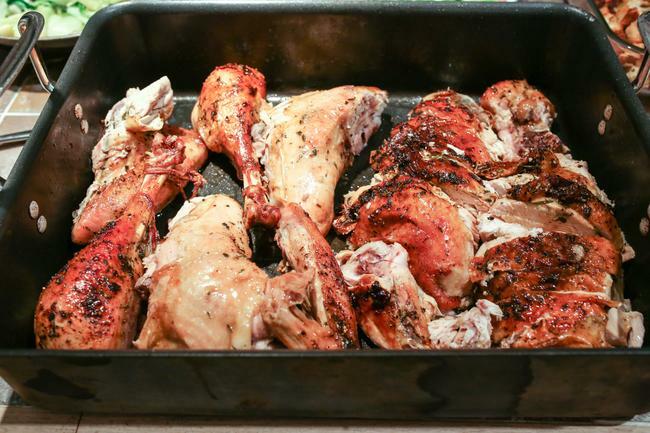 Place turkey in oven and roast 20 minutes. Roast turkey 30 minutes, and then pour 1 cup broth over and add 1 tablespoon plain butter to roasting pan. 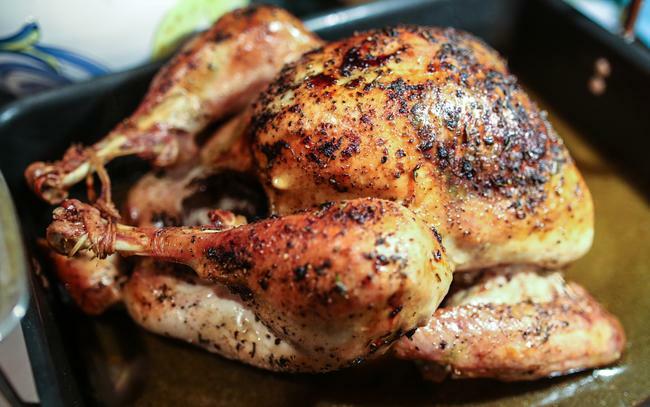 Roast turkey 30 minutes; baste with pan juices, then pour 1 cup broth over and add 1 tablespoon butter to pan. Cover turkey loosely with foil. 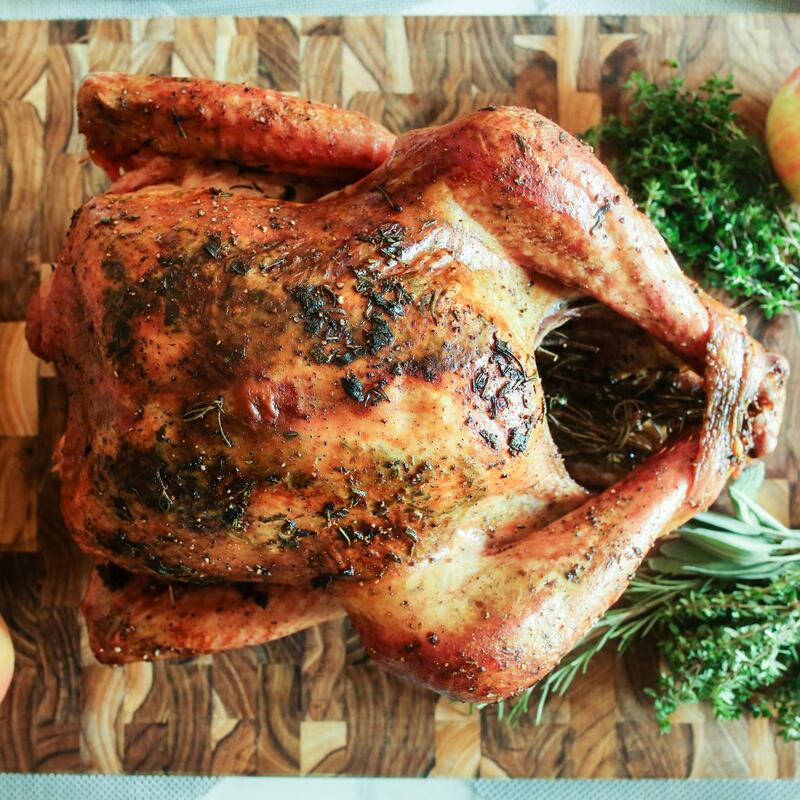 Roast turkey, basting with pan juices and adding 1 cup broth and 1 tablespoon butter to pan every 45 minutes, about 1 hour 45 minutes longer. The turkey is done when a thermometer inserted into thickest part of thigh registers 175°F. Transfer turkey to platter; let stand 30 minutes (internal temperature will rise 5 to 10 degrees), then carve and enjoy!